PRINCE GEORGE, BC – Pacific Western Brewing has announced details of a new beer being released to honour a number of upcoming milestones for the city of Prince George. 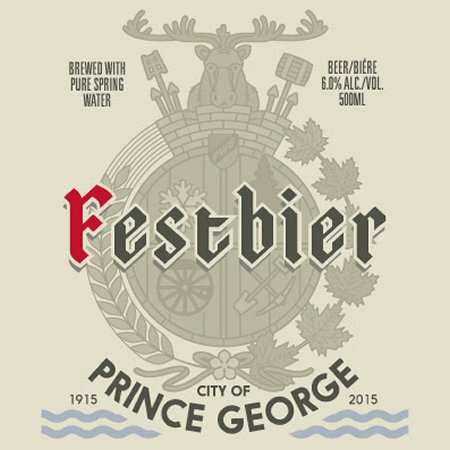 Festbier is a 6% abv Oktoberfest-style lager brewed with “a strong malt base with a pinch of Hallertau Select hops” that will commemorate next year’s 100th Anniversary of the City of Prince George, the University of Northern BC’s 25th Anniversary, and the 2015 Canada Winter Games. Festbier is being debuted today with a media launch at the PWB tasting room. It will be available at select liquor stores in 4-packs of 500 ml bottles, and will be served at various events in and around Prince George through the fall and into 2015.